How Can Lavender Benefit You? Ahhhh Lavender, the beautiful, calming smell of lavender. I have yet to meet someone who doesn’t enjoy this fragrant purple flower, but do we know all of it’s benefits to our health and skin? Lavender is an herb native to northern Africa and the mountainous regions of the Mediterranean. 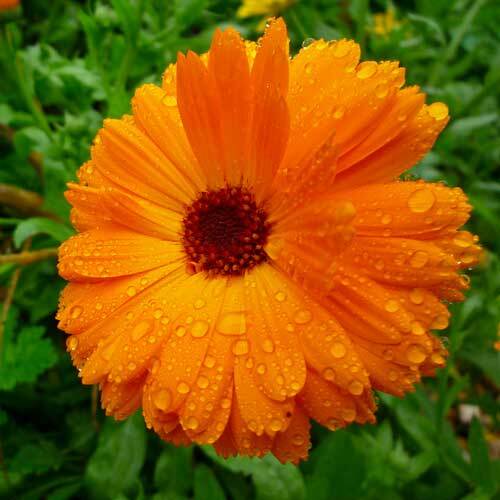 The herb is highly regarded for skin and beauty. Lavender oil is believed to have antiseptic and anti-inflammatory properties which can be used to help heal minor burns and bug bites. Research has revealed that the essential oil of lavender may also be useful for treating anxiety, insomnia, depression, and restlessness. More studies even suggest that lavender can help digestive issues such as vomiting, nausea, intestinal gas, upset stomach, and abdominal swelling. Also, in addition to helping with digestive issues, lavender is used to help relieve pain from headaches, sprains, toothaches, and sores. 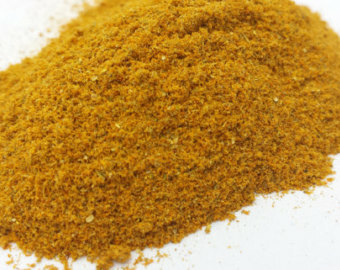 It is also used to prevent hair loss and repel insects. WOW! This flower sure does have a lot of power packed into that purple bud. 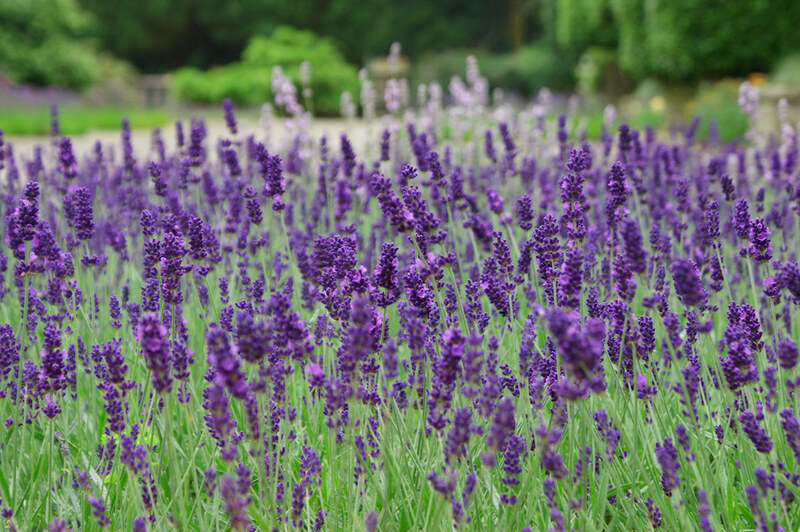 Lavender is most well know for it’s fragrance. It’s calming, relaxing, clean fragrance helps soothe us to sleep and calm our nerves. But the list keeps going…lavender is good for urinary disorders, respiratory disorders, cancer, blood circulation, digestion, immunity and of course skin care. This herb is a wonderful ailment to many issues we face daily. Although Lavender has amazing benefits, there are a few precautions that we all need to be aware of. • Barbiturates – lavender may increase the sedative effects of these drugs and make people feel very sleepy. • Benzodiazepines – mixing lavender with benzodiazepines can similarly increase the sedative effect of the drugs. • Chloral hydrate – lavender increases the effects of chloral hydrate – causing extreme drowsiness. A study published in the New England Journal of Medicine revealed that repeated topical use of lavender oil may cause prepubertal gynecomastia, a condition which causes enlarged breast tissue in boys before puberty. “Topical” means applying onto the skin. In addition, the safety of taking lavender during pregnancy or while breast-feeding is not completely certain – if you plan to use lavender treatment during pregnancy or breastfeeding tell your doctor. 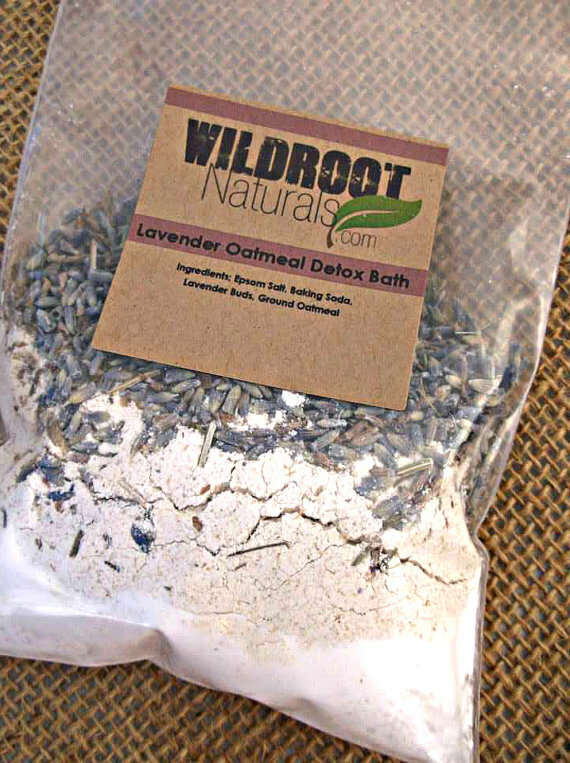 Wildroot Naturals uses lavender in a many of there products, Lavender/Oatmeal Detox Bath, Oatmeal/Lavender Soap, our Headache/Anxiety Reducer, our No-Itch Stick, and more! Check out our store today so find out how lavender can help you. Do you use lavender? What do you use lavender for? Plantain: A yard weed or medicinal herb? 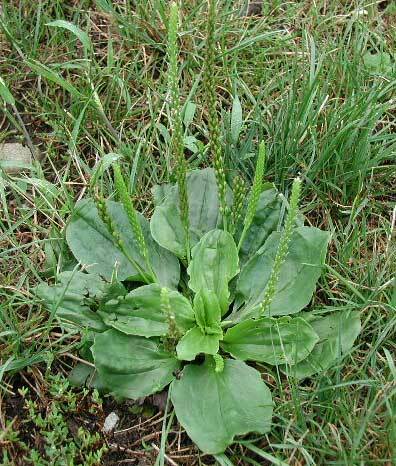 Yes, Plantain is a common lawn and garden weed, however it has many medicinal properties. The leaves themselves can be applied directly to the skin, but for ease of use and long-term storage, it can be infused into an oil or salve. The leaves are actually edible and somewhat similar to spinach, though slightly more bitter. They can be used in salads or other culinary uses. The leaves can also be made into a tea or tincture, and this is said to help with indigestion, heartburn and ulcers when taking internally. Externally, Plantain has been used for insect and snake bites, and as a remedy for rashes and cuts. The natural antibacterial and anti-inflammatory properties of plantain leaf make it great for healing wounds, and for itching or pain associated with skin problems. 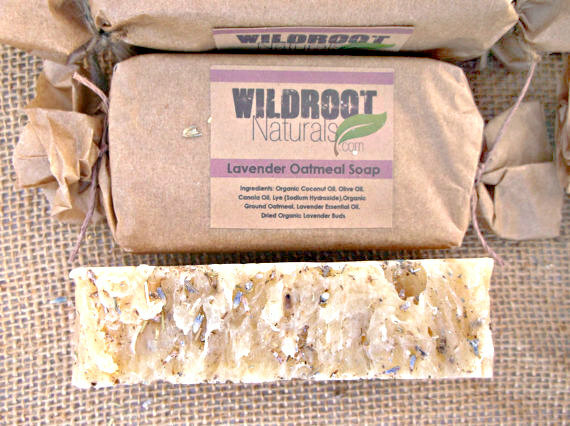 Wildroot Naturals sells a very soothing No-Itch Stick that will get rid of any itch. Great for camping, hiking or any outdoor adventure! When bitten by mosquitos, stung by bees, or come in contact with spiders or other insects, we use the No-Itch Stick containing plantain leaf to help ease the reaction.The No-Itch Stick made with plantain also greatly eases the itch of poison ivy, oak, or sumac and I keep it on hand for this reason. Plantain, one of the most widespread “weeds” in the world, is a first-choice remedy for many skin ailments. It is safe and effective, for not only bee stings, but also for bleeding, cuts, bruises, bug bites, hemorrhoids, and itchy skin. Its ability to draw out infection – as well as splinters and even glass shards – is especially remarkable. What do you use on your bug bites? to relieve itching? Passionflower…just the name sounds beautiful. Doesn’t it? The flower itself is stunning and exotic. So what can this beautiful flower do for us? More than you think. 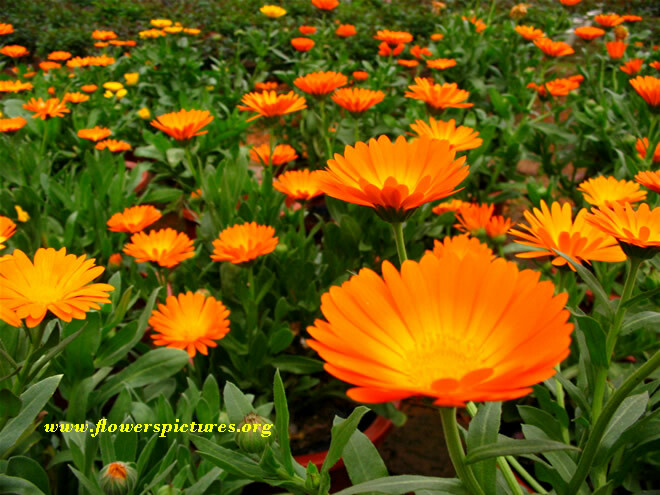 In Europe the flowers are added to numerous pharmaceuticals to treat nerve disorders, heart palpitations, anxiety, and high blood pressure. 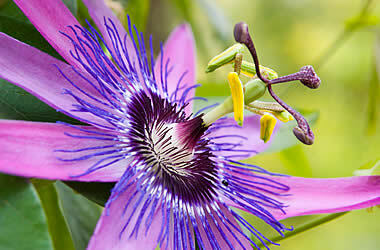 Unlike most sedative drugs, passionflower has been shown to be nonaddictive, although it is not a strong pain reliever. It is also used for sleep problems (insomnia), gastrointestinal (GI) upset related to anxiety or nervousness, generalized anxiety disorder (GAD), and relieving symptoms related to narcotic drug withdrawal. Passionflower can also be used to treat seizures, hysteria, asthma, symptoms of menopause, attention deficit-hyperactivity disorder (ADHD), nervousness and excitability, palpitations, irregular heartbeat, high blood pressure, fibromyalgia, and pain relief. Some people apply passionflower to the skin for hemorrhoids, burns, and pain and swelling (inflammation). Wildroot Naturals will have a Muscle/Cramp Rub containing Passionflower coming soon, stay tuned! • Pregnancy and breast-feeding: Don’t take passionflower if you are pregnant. It is UNSAFE. There are some chemicals in passionflower that might cause the uterus to contract. Not enough is known about the safety of taking passionflower during breast-feeding. Stay on the safe side and don’t use it. • Surgery: Passionflower can affect the central nervous system. It might increase the effects of anesthesia and other medications on the brain during and after surgery. Stop taking passionflower at least 2 weeks before a scheduled surgery. • Passionflower is LIKELY SAFE for most people when taken by mouth in amounts normally found in food. It is POSSIBLY SAFE when taken short-term (less than two months) as medicine or tea. It is POSSIBLY UNSAFE when taken by mouth in large amounts. 45 drops of passionflower liquid extract daily. A specific tablet formulation 90 mg/day has also been used. For reducing symptoms associated with narcotic drug withdrawal: 60 drops of passionflower liquid extract in combination with 0.8 mg of clonidine. 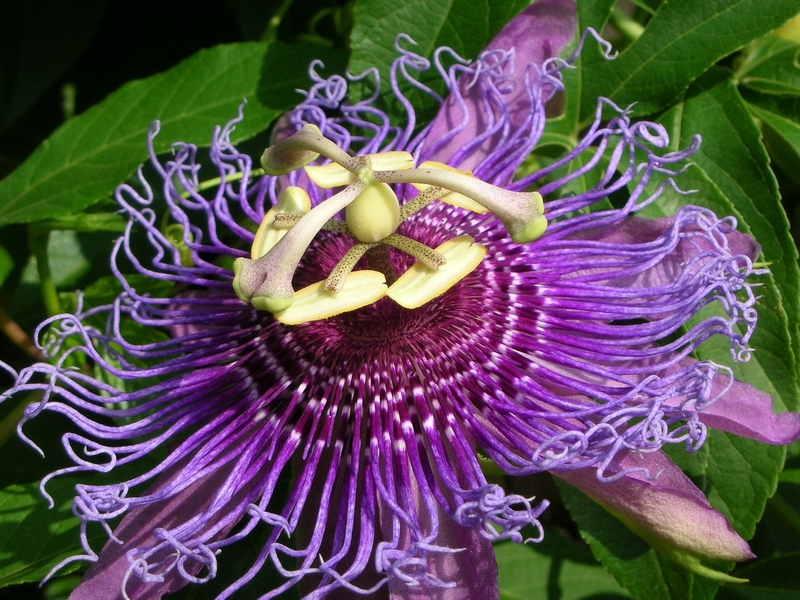 Have you ever use Passionflower for pain relief? If so, what are your thoughts? Do you do Green Tea? There have been a number of encouraging studies of skin benefits of drinking green tea. Animal studies showed protection from skin cancer. Both animal and human studies have credibly demonstrated that topical green tea formulations reduce sun damage. Green tea appears to exert sun damage protection by quenching free radicals and reducing inflammation rather than by blocking UV rays. Therefore, green tea may synergistically enhance sun protection when used in addition to a sunscreen. What about wrinkles, skin sag and other signs of aging? Can green tea help? Considering their well-documented antioxidant and anti-inflammatory activities, topical green tea polyphenols are likely to slow down the development of some signs of aging. 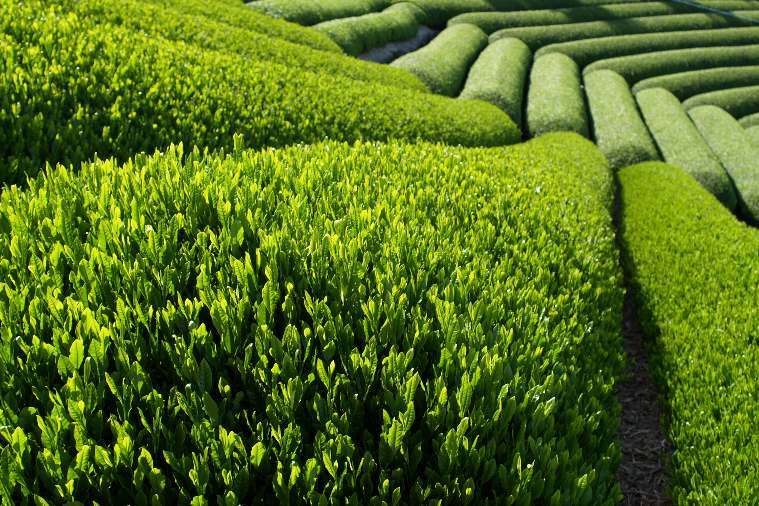 Whether green tea can actually diminish wrinkles and skin sag is far more uncertain. Since sun protection benefits of green tea are particularly well documented, it could make sense to apply a green tea formula under your sunscreen when venturing into the sun. It is best to combine green tea with zinc oxide-based sunscreens because zinc oxide is chemically inert and should not react with green tea (which some chemical sunscreens might do, especially in sunlight). 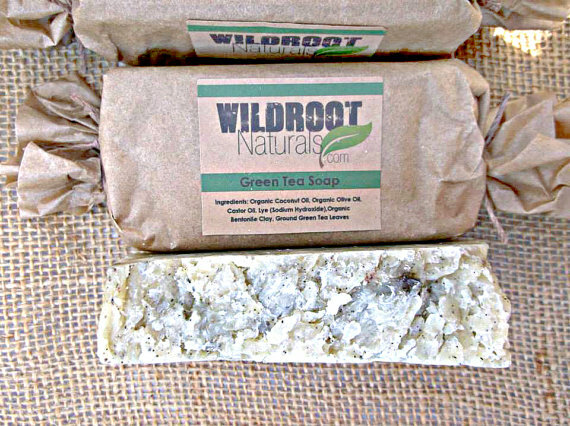 Wildroot Naturals will be releasing a new and improved Sunblock with Green Tea in it! Stay tuned! It may also be useful to incorporate green tea into your skin maintenance routine to possibly slow down skin aging. However, simply buying a green tea cream may not necessarily be the best way to go. 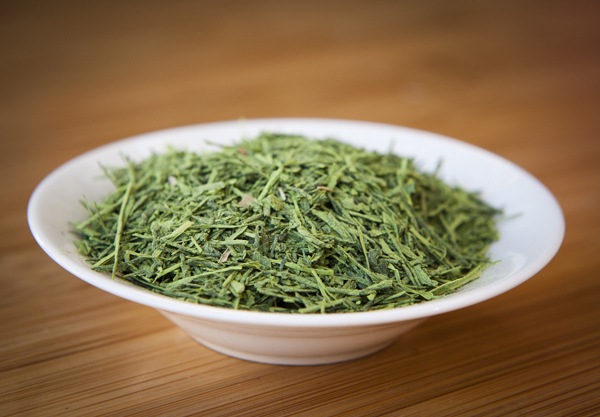 Like most other antioxidants, green tea polyphenols are oxidized and lose their activity when exposed to air. Whether commercial green tea creams retain the activity is unclear and may vary widely from product to product. 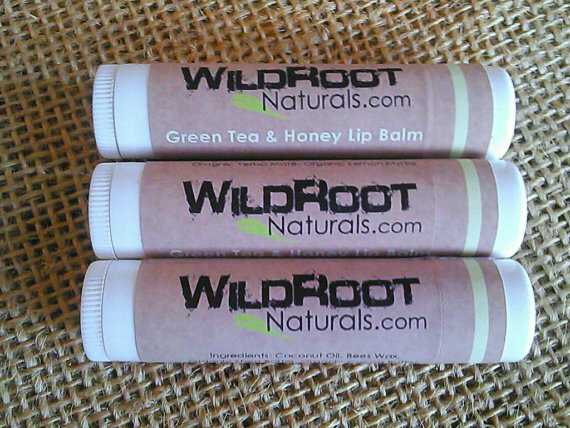 Wildroot Naturals carries Green Tea soap and Grandma’s Green Tea lip balm. Check ’em out today! 1. Adds shine to dull, lackluster hair. 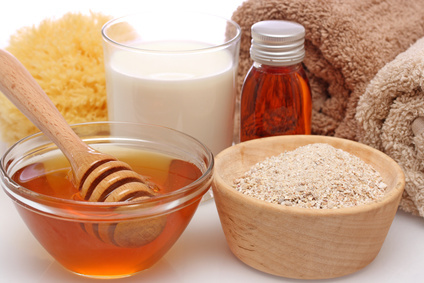 A hair rinse using green or black tea will boost brassy and blah strands. Simply steep tea bags in boiling water for 15 minutes and allow to cool for a few hours or overnight. Pour it onto freshly-washed hair and leave on for ten minutes. Be sure to shampoo and condition afterwards to seal in the shine. 2. Soothes sunburns. 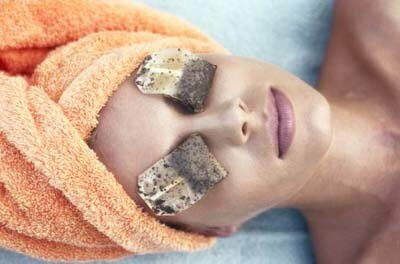 Cold compresses made out of tea bags can relieve pain and reduce redness. 3. Minimizes bug bites. To take down the sting and bumps, apply a used cold chamomile tea bag directly to the area and relax. 4. Reduces puffy eyes and dark under-eye circles. The caffeine helps to shrink blood vessels underneath the skin and eliminate darkness around the eye area. 5. Rids smelly feet odor. Soak your feet in a cool solution made out of boiled tea. The tannic acid in tea is both antibacterial and antifungal, so it stops feet from sweating and smelling funky. 6. Tones and moisturizes dry skin. Spritz cool green tea onto your face (you can also apply it with a cotton ball) twice a day to draw out impurities, shrink large pores and get a healthy glow. 7. Calms skin after shaving. If your legs are itchy and red after shaving, try pressing a cool black tea bag onto your limbs. The tannins work to provide immediate relief from razor burns. 8. Enhances hair color. If you’re looking for a chemical-free alternative to dyeing your hair, try using tea. Its staining properties add color to naturally blonde or brunette locks. Holistic Chick breaks down which teas have the best color payoff. 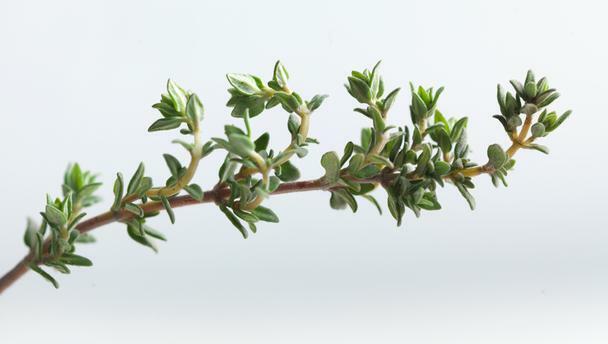 We are also creating new and improved products, including Sunblock, that include this amazing herb! Stay tuned to learn more about them when there are on the market. Do you drink green tea? If so, how often. Are you a coffee person and would rather just use it on your skin? Mined in the Atlas Mountains of Morocco, this extraordinary mineral-rich clay is known for its unmatched ability to absorb impurities from the skin. It cleanses deep, clearing pores and tightening skin without harsh scrubs or chemicals. As you age, your skin often does not retain the necessary trace minerals to keep it firm and wrinkle free. The high concentration of natural minerals in Rhassoul help replenish depleted minerals in your skin, resulting in a firmer, plumper, and more even-toned complexion. Because Rhassoul can be used for a variety of professional applications, it is an invaluable enhancement for spa treatments and for personal use. Its extraordinary power of absorption makes it more effective than other clays for cleansing, de-toxification, and general skin treatment. But there is no need to spend a ton of cash at the spa for the same results you can get at home. Wildroot Naturals combines the benefits of Rhassoul Clay and Bentonite Clay in the Cure All Facial Mask. Enjoy these wonderful benefits for only a few bucks! 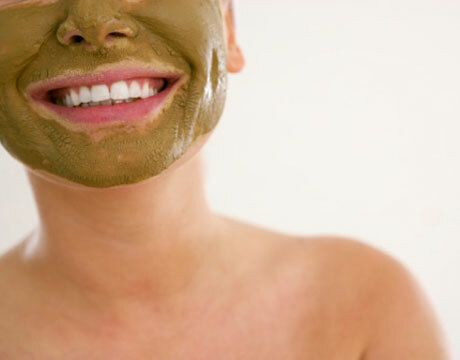 Have you ever tried Rhassoul Clay? What kind of skin ailments do you face? Please post a comment below. We would love to chat!